There’s a problem with finding female ancestors. 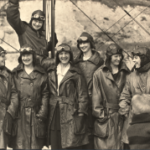 With name changes and a lack of records, ﻿it﻿ can be challenging to trace the female half of the family tree. 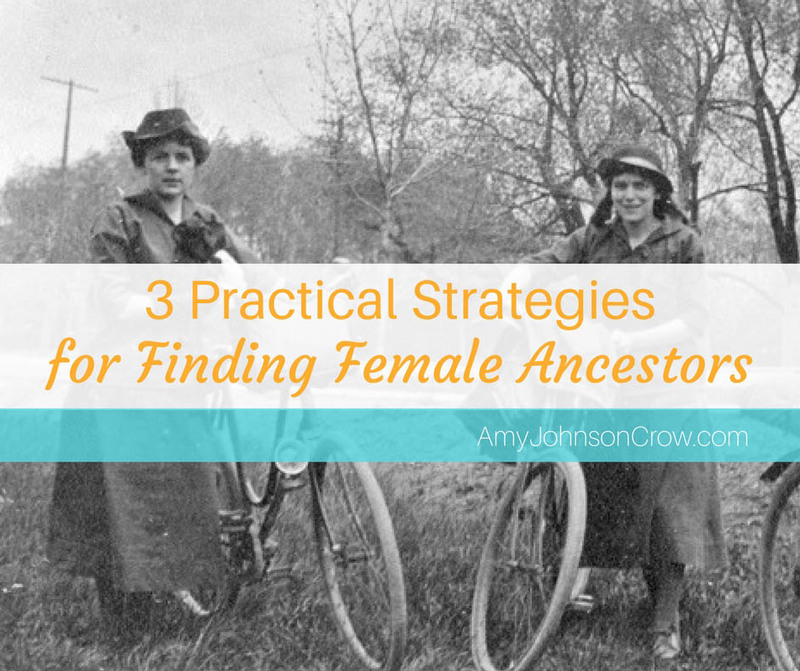 Here are 3 practical strategies for finding more about our female ancestors. Since women had fewer legal rights than men, there weren’t as many records created about women as there were for men. That means we can’t afford to skip any records that should exist for her. If we’re skipping records that should exist for her, we could be missing out on some golden opportunities to find more information. For example, in one census record I found the brother of my second great grandmother living with them. I didn’t know anything about this brother before I found the census record. That census opened up whole new avenues of research; I could research her brother, which led to information about their parents. If I had skipped that census record because, “Oh, it isn’t going to tell me anything new,” I would have missed that way of finding all of that information about their parents. The third thing that we need to do is research all of her children, not just the child that we descend from. Think about it, if we are researching that one child thinking he or she is going to have the answer, what if she had eight children? Couldn’t any of those eight have information pertaining to her? Consider birth records. When you found the birth record of the child that you descend from, maybe it didn’t list the mother’s maiden name. However, maybe the birth record of one of the other children did. Also, think about their obituaries and marriage records (both civil and church). Don’t get so focused just on the child that you descend from, think about all of them. What answers can you find from those other children? Also, don’t skip over any of her children who died young. Their birth records, death records, obituaries, and cemetery records could have just as much information about her as any of the other children. 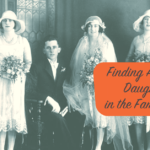 As we’re looking at trying to find information about the females in our family tree, we can’t afford to be hyper-focused on just her or the husband and child we descend from. We can’t skip records just because we think we know what’s going to be in there. We need to also research all of her husbands and all of her children. Which of these strategies have you used to find more about your female ancestors? Want more strategies? 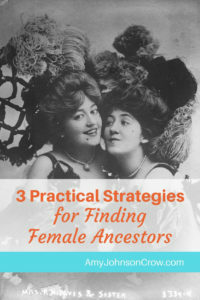 Download my FREE guide "5 Online Search Strategies Every Genealogist Should Know." 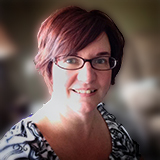 This entry was posted in tips and tricks and tagged females by Amy Johnson Crow. Bookmark the permalink. What are some reasons a date of death cannot be found from the 1950s? Depending on the state, the death certificates for that time period might not be public. Do you have anything to go on that could help you? 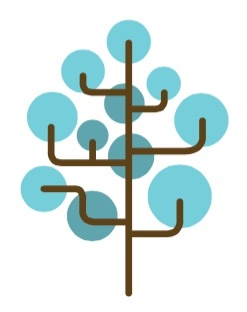 If you know where they died, check to see if the genealogy society or public library has an index of obituaries. Also look at FindAGrave and BillionGraves to see if anyone has recorded the burial place. I do similar searching of records to get information in my female ancestors. When looking at the census, I also check the other names on the page. Quite often I have found that my married female ancestor was a neighbour of her parents and/or siblings. It wasn’t just males that didn’t venture far from the family farm, or built a home on the family property. You’re exactly right, Linda! It’s the FAN club (friends, associates, neighbors) at work! Thank you for this subject. It is a good reminder as I have found records by searching the siblings. It’s good to look for maiden and married names. And if they were married more than once, look by each married name. I found a death record today for a relative by searching for her last husbands name knowing that her last name on that marriage record would be from her first husband. Make sense? There have been a few times by researching all the children a woman had that after her husband passes she went to live with one. You can find her then on the census. This can help with finding burial records for her because she may have moved out of town and be buried there instead of with her husband. Thanks for all of your great tips! 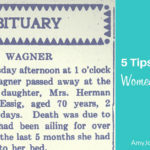 I followed the link about “tips for finding women’s obituaries” and was reminded about some OCR (Optical Character Recognition) snafus that I collected a few years ago. Fortunately, my hometown newspaper has been digitized from its beginning (1884). The most important thing I have found in searching ‘OCR-created’ newspaper databases is to do some reading comparing the indexing and the actual images of the same story. For example, searching the family name “freeland” often does not result in hits because the newspaper “e” characters were often ‘OCR-read’ as “o” characters. So, I found an obituary that I was looking for by searching “frooland.” If one reads a few of the images and compares them to the OCR versions, you can learn what some of these ‘misreads’ are and then creatively search for the ‘wrong’ words or names … a bit anti-intuitive but it can work! thanks for a great newsletter and all your tips. To Lyn, thank you for your tips re newspaper ‘e’ and ‘o ‘. And IT is IndianTerritory). County court was Madill, IT and district court Ardmore,IT. In 1907 Statehood of Oklahoma occurred. In Twp 8, CN, IT, August 14, 1891, John T Huff,b.1853TN, age 48, shot and killed his older brother, my 1XGrt Uncle, Jim Huff,b.1851,TN, d. Aug 05, 1891 in home of John T Huff, Twp 8, CN, IT. The Madill Record, CN, IT and The Sherman Democrat, Grayson Co, TX Newspapers reported the District Court trial on Aug 14, 1891 of John T Huff who lived in CN, Indian Territory. I need help finding a report of the death of John T Huff, b1853TN and died Aug 21,1898,Twp 8, CN, IT, USA. I can be reached @ : mize.betty@gmail.com . Thank u all!! Why wouldn’t you search for all of your grandmother’s [or whatever female relative] available information? She’s your relation. I look for everything! Bits of gossip in the society pages of the newspaper where she lived. vital records related to her and ANY children and siblings [as well as her half-siblings]. Court records relating to all of her husbands and siblings. There is so much in the Virginia Chancery Court record – for instance. All of these things can make her appear more real and bring in more information about family. Yes, find everything you can about her! (See #1 above 🙂 ) It’s so tempting sometimes to skip a record because we think we know what will be in it (or not in it). You just never know! By chance, is your William Skinner from the southern Jersey area??? This William is from Perry County, Ohio. The Skinners did come out of New Jersey, though. Hi! Thanks for the tips! I found two of my great uncles on a census from 1910 living in the household of someone with a different last name. I looked at their relationship to the head of household and it read, “nephew”. Logic told me that the woman must be related to my family in some way. Sure enough, after searching through census records, cemetery records, every family member of the household, I learned that the mom was a sister to my mother’s paternal grandmother. I would have never known had I not persisted. Also, the maiden name of the women was Polish and my living aunt was able to tell me that some of them changed their last name to make it easier. Without that information, I never would have had the awesome breakthrough! I’m still struggling to identify the father of my paternal great grandmother. Her mom married a man after her birth. The birth certificate says that she was married once before but I can’t find any proof of an earlier marriage. Other researchers want to gloss it over because they can’t find records of the people listed as her parents on the same marriage certificate. Super frustrating! I have an instance of not being able to find information about my 3x g grandmother. I’ve looked at several pages of the 1850 federal census where she and my 3x g grandfather lived, hoping to find either a brother or sister nearby. No luck. It’s possible that her family was in the town where my 3x g grandparents were married, which I have not checked out yet. I believe that her youngest daughter’s given and middle names are clues, but have not been able to break open the puzzle!